Container size: 22 feet x 8 feet x 8 feet. Price includes: 10000 lbs, 10 day rental. 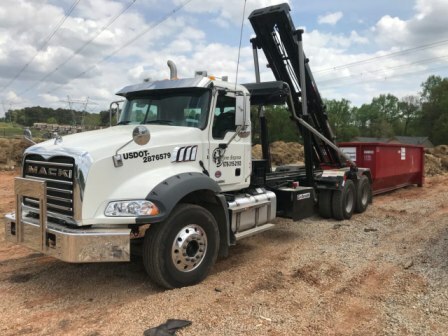 It may not be too difficult to find cheap 40 cubic yard dumpster rental services; however, you need to keep track of a few important aspects in order to avoid spending too much money. First of all, think of the size of the dumpster you will need, and determine the time period. Usually most companies will lease you a container for a fixed period (for example 5-7 days), and will offer standard size dumpsters. You will need the exact size required for making one ride to the landfill; otherwise, you may have to pay twice for the disposal service. Also, make sure you do some thorough research about the landfill fees required as well as any additional expenses that the company may ask for, to keep any assumptions out of the equation. Finally, before deciding on a company, remember to compare the fees and prices to make sure you get the best deal. Different companies ask for different fees, so it’s better not to rush into anything.